Need to contact the staff? Please use the form on the Contact page. Thank you! The Rev. Gar Demo came to St. Thomas in 2006 from St. Peter’s in Conway, Arkansas where he was Vicar for four years. From 1998-2002, he was the assistant rector at St. Michael and All Angels in Mission, Kansas, before which he spent a year at St. Margaret’s in Lawrence, Kansas and at the Kansas Diocese as the youth missioner. St. Thomas’ depth of relationships, sense of community and breadth of outreach are what drew Gar to the church and to this day are what he sees as exceptional of the congregation. That sense of community and that all are welcome continues to grow. Gar attended the Episcopal Theological Seminary of the Southwest (ETSS) in Austin, Texas after receiving his BS in Psychology with a minor in Music from Wichita State University in 1994. He was ordained in 1997 and entered the priesthood in Dec. 1997. Gar also earned his MBA from Friends University in 2010. Gar met his wife Kelly in his last years of college they were married just prior to attending seminary and she was also ordained in 1997. The two were married in 1994 and have two children–Riley and Asher. Gar enjoys movies, fishing, guitar and sports. The Rev. Kelly Demo joined the staff at St. Thomas in March of 2017. The Rev. Kelly Demo joined the staff officially on March 1 of 2017. However, Mthr. Demo had been serving in a volunteer capacity for ten years before that both at the altar as well as teaching, helping with youth group and children’s ministries, and outreach. Before being on staff at St. Thomas Kelly worked for ten years in the non profit world working at two international aid organizations as a fundraiser and community builder. She also did youth work for the decade before that. Mthr. 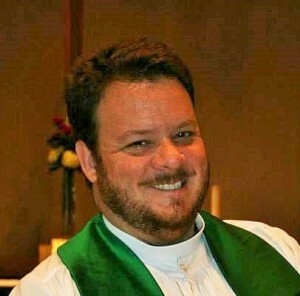 Kelly was ordained in 1997 after attending Seminary of the Southwest. She got her undergraduate degree from the University of Kansas where she studied theatre, with a concentration in children’s theatre. It was during that time that she met Gar. They finished up their undergraduate degrees and attended seminary together as newlyweds. At St. Thomas Kelly serves in ministries with the youth group, women’s ministries as well as general pastoral care and small group development. Kelly’s first love is spending time with her husband, Gar, and their two kids, Riley and Asher. Even after many miles traveled for her previous job she still loves to travel. She also enjoys reading, needlework, movies, and spending time with friends. and married in the Kansas City area in 1986. A former Marine, her husband Ray is currently an IT Audit Manager for the Federal Home Loan Bank of Topeka, and also serves on the Diocesan Council of Trustees. They are blessed with two teenage sons, Ted and Cole. Fran keeps actively involved with their school activities and is an active member of Preceptor Epsilon Zeta, a local chapter of the women’s international sorority, Beta Sigma Phi. Additionally she has served with various organizations and committees within the Olathe Community and Johnson County. Fran graduated in 1990 from Marymount College in Tarrytown, NY with a B.S. Major in Fashion Merchandising. She has a previous career background in retail management within the fashion industry, but has been a stay at home mom for the past 17 years. Her love for Christ, a continual growing passion of working in the community, and the inspiration and personal desire to seek, identify, and commit where help is needed is what led her to the calling of the Diaconate. 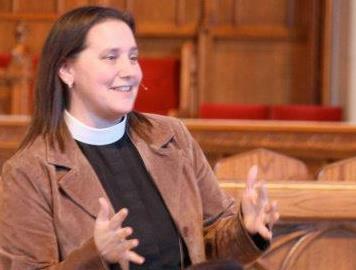 She graduated from the Kansas School of Ministry in 2010 and was ordained to the Diaconate in January 2011. She served her diaconal internship at Trinity Episcopal Church in Atchison, KS with a focus on Pastoral Ministry. She previously attended St. Aidan’s in Olathe, KS for the past 9 years, where after ordination she served as a deacon for the past 3 years. Her ministries focused on pastoral care, mission and outreach. 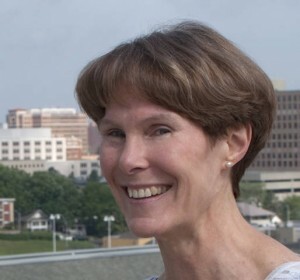 In addition to parish activities, Fran currently serves as the Chair for Mission and Outreach for the Episcopal Diocese of Kansas, and serves as Vice President for the Diocesan Board of Episcopal Church Women (ECW). She is delighted to be assigned to St. Thomas now and looks forward to the many opportunities to serve and grow with the St. Thomas community. has been involved with music at St. Thomas since 1997 and officially joined the staff in 2002 as Director of Music Ministry. In her position, Beth directs the Adult Choir, Youth Choir, and Praise Band. She also coordinates additional musicians for special musical offerings, including small chamber groups and instrument accompanists for choral music. Beth’s creativity and passion for all varieties of music make it a strong and central part of worship at St. Thomas. Beth has also assisted with coordinating St. Thomas’ first-ever Arts Camp for K-6 children. The kids experience God’s blessings through singing, creative writing, acting, dancing, and nature walks. 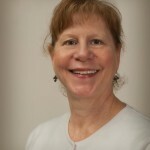 Beth is an Assistant Teaching Professor of Music Theory at the University of Missouri-Kansas City (UMKC) Conservatory of Music and Dance where she teaches undergraduate theory and ear training courses. St. Thomas benefits greatly from this connection through the contact with young, talented musicians that assist with our music. Beth holds the DMA in organ performance from UMKC, and an MS in Education and a BS in Education from Southwest Missouri State University. Beth is married to Jim Elswick, the two have 5 adult children throughout the US. In her spare time Beth enjoys practicing her music, jogging, and chasing after her scattered family. Her favorite times are spent with the family at their cabin in the woods. Barbara McCall is the Director of Children’s Formation. Barbara currently teaches elementary students at Liberty View Elementary in Olathe, KS. 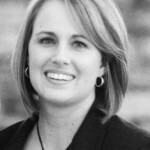 She brings with her 12 years of experience as a professional educator. 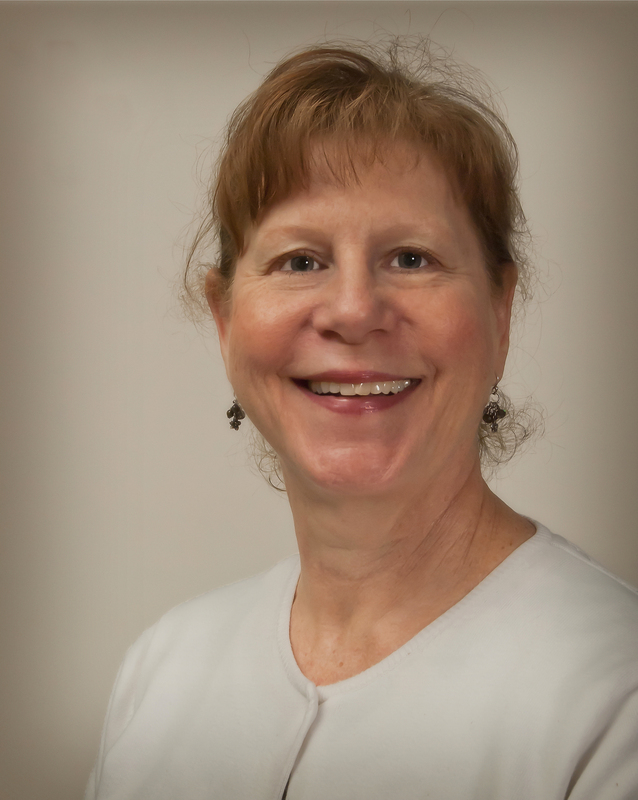 Barbara holds a Bachelor of Science in Elementary Education from the University of Nebraska at Lincoln and a Master of Arts in Education from Baker University. She is married to J. D. McCall, her high school sweetheart, and they have two children Joshua and Jacob. She enjoys singing in our praise band as well as crafting and home decorating. She has been a member at St. Thomas for over 13 years. Meribeth Risebig is responsible for a wide range of administrative responsibilities, including the scheduling of all activities in the church, managing the church database, coordinating property service, and overseeing the volunteer support staff. The assistance she receives from volunteers is of tremendous value as they support our worship and programs, including answering the phone and greeting visitors, entering info in database and record books, typing, copying, cutting, cleaning, replenishing, sharpening, recording, callling, “stuffing,” and working on specific projects as needed. Meribeth enjoys working at St. Thomas for many reasons, but mainly because it allows her creativity to run wild as she generates communications such as weekly newsletters, bulletins, posters, booklets, website revisions, online forms, etc. When Meribeth is not at St. Thomas she is an active free-lance musician in the Kansas City area as an oboist/english hornist, and sings in the choir at the Episcopal cathedral downtown. She enjoys working out, gardening, cooking, and caring for her two cats – Sadie and Kiki. 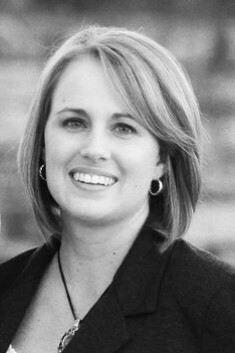 Meghan Chaney graduated from Pittsburg State University and got her degree in Early Childhood Development. After graduation she began her career at a Head Start program. After being with Head Start for three years she transferred to YMCA where she continued to develop young children’s minds. From YMCA she moved to help a friend open up her own childcare center known as Kreative Creations where they assisted staff members in the Center School District with young children and worked with teen mothers in supporting and encouraging them to finish their education and continue on after high school. 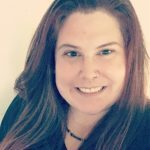 For the last six years Meghan has been working towards becoming a director and providing a safe, caring environment for children. When she was offered the position at St Thomas she knew this was exactly where she was supposed to be and feels she is truly blessed that she has been given this opportunity to provide childcare for families in this parish and community.